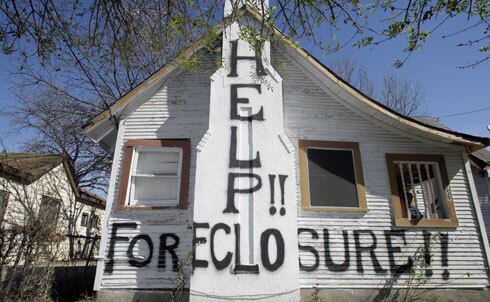 CEO bonus season is approaching, and despite a 9.8 percent unemployment rate, record-breaking poverty figures and more than 1 million expected foreclosures, top executives are raking in breathtaking sums—even while laying off hundreds of employees. According to a report from the Institute for Policy Studies, CEO compensation reached record levels in 2009, and the companies who laid off the most employees reaped around 42 percent greater total compensation than the average S&P 500 company executive. Yahoo CEO Carol Bartz was the highest paid CEO in 2009, according to AP calculations. She earned a total of more than $47 million in 2009, and she fired 600 workers in mid-December, just in time for the holidays. According to the AFL-CIO’s calculations, her salary, bonus and other perks could support 3,131 minimum-wage earners, or 1,473 average workers. It hurts even more when the people earning these kinds of figures are the same ones who helped create the economic crisis. 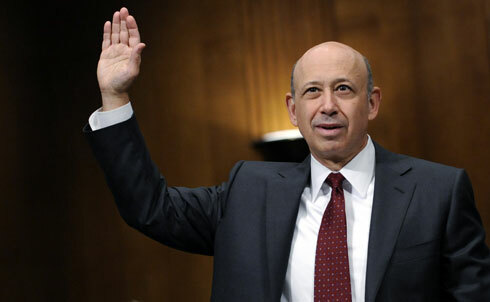 Bloomberg News predicts Goldman Sachs CEO Lloyd Blankfein is on track to receive a $24.3 million bonus in stock in January, based on share prices—even though, as Nation contributor Robert Scheer puts it, "Goldman Sachs stands accused of selling dubious derivatives that concealed enormous government debt," and sent the global economy into a tailspin. Even the heads of companies that are slacking on their bailout repayments are cashing in big. In 2009, AIG CEO Robert Benmosche made $2.7 million. ProPublica recently dubbed his company the biggest TARP black hole: the insurance giant received $47 billion from the Treasury and $81 billion from the New York Fed, none of which has been paid back. 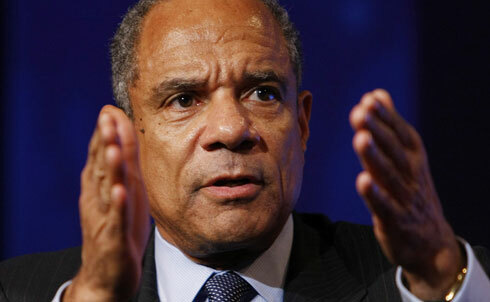 American Express‘s Kenneth Chenault made $16.8 million in total compensation last year; IPS reports that the company has fired 4,000 people over the past two years, since receiving nearly $3.4 billion in federal bailout money. They paid back their bailout funds in June 2009. 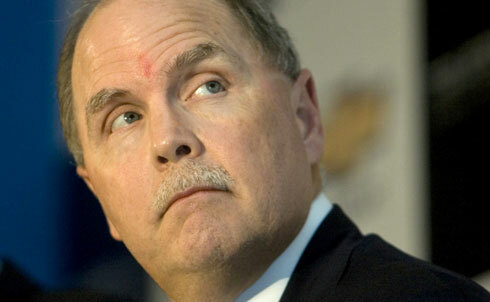 General Motors CEO Frederick Henderson made over $5 million 2009 compensation, and laid off 75,733 employees between November ’08 and April ’10, according to the IPS. The company received nearly 50 billion in bailout money, and only paid $7 billion back. Now it’s 61 percent government-owned, and Congressional Oversight Panel reports this spring revealed that much more could have been done to protect taxpayers during the messy rescue operation. Chairman and CEO of Morgan Stanley International, Walid Chammah, made a little over $10 million in 2009. 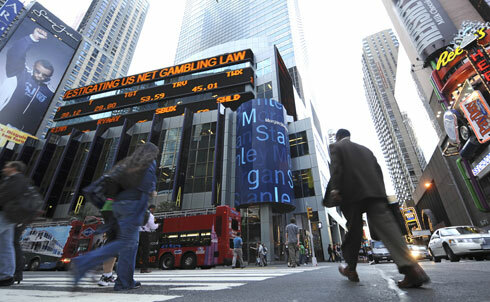 The New York Times reported that New York AG Anthony Cuomo will be investigating whether eight banks manipulated the grading mechanism for mortgage securities by providing misleading information to rating agencies. Morgan Stanley is among them, along with Goldman Sachs, Citigroup, and Bank of America. This year they’re planning to slash executive bonuses, according to the Washington Post. CEO of Citigroup’s Clients Group John Havens made $12 million compensation in 2009 and laid off 52,175 employees over the past two years, according to IPS. Earlier this year, ProPublica tracked how Citigroup helped put the financial crisis into overdrive by buying its own collateralized debt obligations (CDOs). 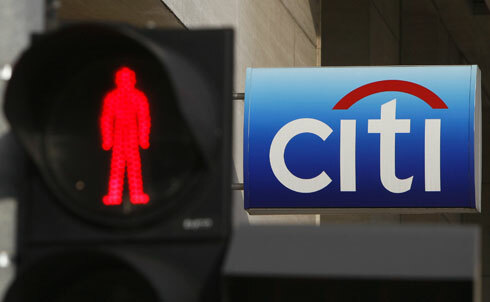 The Washington Post reported in May that Citigroup was being probed for shady dealings by the Department of Justice. At JP Morgan Chase, William Winters—Co-CEO of their Investment Bank—made $19.6 million in 2009, according to the IPS. The company announced 14,000 layoffs between November 2008 and April 2010. JP Chairman and CEO James Dimon also took home over $15 million in 2009. 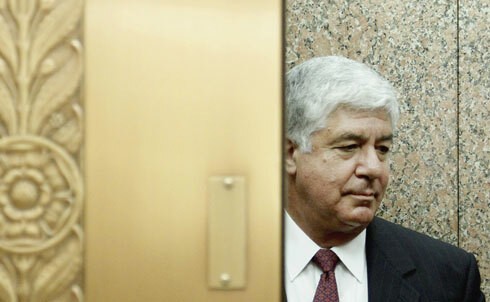 According to the San Fransisco Chronicle, “Dimon and JPMorgan Chase were criticized during the TARP payments of 2008, as many questioned if JPMorgan really needed to be bailed out, but still accepted the TARP bailout, which it later paid back.” Tom Petters, who’s been convicted for running a Ponzi scheme, is now suing JP Morgan Chase for $266 million because they allegedly profited from his scheme. Wells Fargo CEO John G. Stumpf made $21 million in 2009, making him the highest paid financial executive of the year, according to The New York Times. 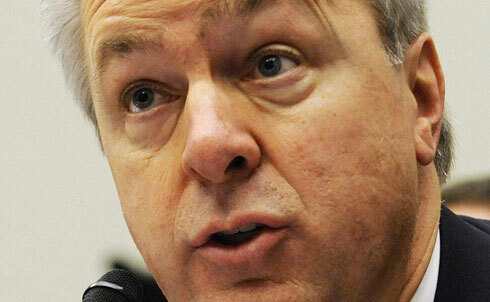 Stumpf opposes increased financial regulation, and, in 2010, his company spent close to $3.5 million in lobbying fees.